“Technology” has become so overused … that the term has lost all meaning. Amazon generates a lot of revenue from its Amazon Web Services (AWS) business—perhaps as much as $10 billion this year. It also derives revenue from manufacturing and selling computer hardware, like the Fire and Kindle. But thevast majority of Amazon’s revenue comes from international sales of consumer goods. Amazon is sort of a tech company, but really it’s a retailer. Dieser Eintrag wurde veröffentlicht in Corporate Culture und getaggt mit Alphabet, amazon, Apple, Facebook, Microsoft am 4. August 2016 von innovation. People don’t always remember this, but when Microsoft first started, one of its biggest partners was Apple — manufacturer of the Apple II, the gold standard for early PCs. That partnership, always tenuous, didn’t last. And assuming that virtual reality really does take off and become the next great computing paradigm, like the tech industry thinks it will, it looks like history is going to repeat itself — with Google in the role of Microsoft and Facebook playing the part of Apple. The Apple II wasn’t the first computer, by any measure. But when it launched in 1977, the whole idea of personal computing was nothing more than a hobbyist’s pastime. In fact, the Apple I was a do-it-yourself computer kit. Microsoft sold Windows to any and every PC manufacturer, building a thriving ecosystem of computers from different companies that nonetheless offered compatible software. PC prices cratered, PC manufacturers blossomed, Microsoft’s stock went way up, and Apple’s future became far less certain. It’s basically the same thing that Google would go on to do with Android itself, making the mobile operating system available for free to phone manufacturers. Now, you can get an Android phone that costs less than $100 or more than $700, your choice. Google now wants to repeat the trick, this time with virtual reality. Because of that, it carries the same pluses and minuses as the Apple II and Macintosh before it. It’s engineered to Just Work, streamlining away all the things that made virtual reality never catch on before. But it’s also expensive, with $599 for the Oculus Rift headset alone, plus the fact that you’ll need a $1,200-ish PC just to use it. Google’s vision for the future of virtual reality is a little broader. Its first-ever virtual reality play was the $20-ish Google Cardboard, literally a cardboard box that you can slot just about any smartphone into. Much like Microsoft with Windows. Google has turned to partners to realize the dream of Daydream. It’s providing a blueprint for a virtual reality headset that anybody can build from, and a specification for building phones that are compatible with it. There are some limits — Daydream is only going to work with certain, pre-certified new phones — but the general idea is that it’s always going to be cheaper and more accessible to power virtual reality with a smartphone that you probably already own, than an expensive gaming PC that only true power-users care to maintain. Facebook, for its part, hasn’t ignored this trend. The Samsung Gear VR, co-developed by Oculus, is a lower-end headset also powered by a phone. Still, it only works with Samsung’s own Galaxy phones, which are always on the higher end of the price spectrum. Google Daydream is, on paper, more inclusive of lower-end and cheaper smartphones. It may never be as powerful as the Oculus Rift, but if it works, it’ll ignite an explosion of cheap VR from every manufacturer, making it a new standard, at the cost of some overall control. So you have Facebook’s Oculus at the Apple-esque high end of virtual reality, and Google Daydream at the low-to-middle that’s long been Microsoft’s forte in PCs. That’s great, except not really. If the long decades of Apple’s history with Microsoft have taught us anything, it’s that consumers suffer the most when tech giants have turf wars. Remember the dark days of the great Windows/Mac divide? Right now, virtual reality is such a young market that these companies don’t feel the need to compete. GoogleThe current design for the Google Daydream headset. But you already can’t legitimately get Google’s YouTube app on Facebook’s Oculus Home virtual reality operating system. If virtual reality takes off, expect to see a lot more territorialism between Facebook’s growing ecosystem of apps and services, and Google’s established base. To get to that happier place, though, it took a strange journey, and a long maturation of the overall technology behind computing and the internet. We’re just at the beginning of even glimpsing the potential of virtual reality. And if Google and Facebook really follow history, we’re in for a long, tough, bitter fight. Dieser Eintrag wurde veröffentlicht in Innovatoren und getaggt mit Apple, Facebook, google+, Microsoft am 19. Mai 2016 von innovation. Turns out Microsoft isn’t as interested in rating mustaches or guessing ages as it is helping the visually impaired navigate the world. For the past few years, Microsoft has been steadily releasing goofy little apps that use neural networks to perform tricks ranging from guessing your age and rating your mustache to describing photographs (often comically) and even telling you what kind of dog you look like. But why? Entertaining though these apps are, they all seemed a little random—until a couple of weeks ago at Build 2016, when Microsoft revealed that these experiments are more than just a sum of their parts. In fact, they represent stepping stones on the road leading to Seeing AI, an augmented-reality project for the visually impaired that aims to give the blind the next best thing to sight: information. Built by Microsoft Research, Seeing AI is an app that lives either on smartphones or Pivothead-brand smart glasses. It takes all of the tricks Microsoft developed using those „goofy“ machine learning apps and combines them into a digital Swiss Army knife for the blind. By helping the visually impaired user line up and snap a photograph using their device, the app can tell them what they’re „looking“ at; it can read menus or signs, tell you how old the person you’re talking to is, or even describe what’s happening right in front of you—say, that you’re in a park, watching a golden retriever catch an orange frisbee. Presumably, it has some excellent mustache detection skills, too. „This isn’t the first app for the blind,“ admits project lead Anirudh Koul. „But those apps are extremely limited.“ One app might be dedicated just to helping you know what color you’re looking at. Another might read menus and signs, or tell you what box you’re holding in the grocery store based on the barcode. There are even photography apps for the blind. But the problem with all these apps is fragmentation. For a blind person, using them seamlessly is like having to screw in a different set of eyes every time you want to read a paper or identify a color. Seeing AI can do all of the above—and more—all within the same app. Of course, having so much functionality introduces its own design challenges. According to Margaret Mitchell, Seeing AI’s vision-to-language guru, context is key when trying to decode visual information to text. „If you’re outside, for example, you don’t want it to describe the grass as a green carpet anymore than you want it to describe a blue ceiling as a clear sky when you’re indoors,“ she says. It’s also challenging to know how much information Seeing AI should give users at any given moment. Sometimes, it might be more useful to list what’s around a user, while other times, a scene-description is better, so knowing when to automatically switch between modes becomes important. 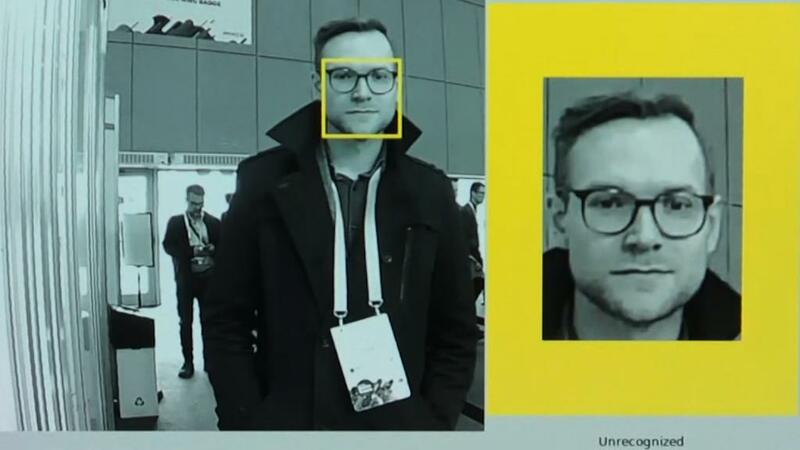 Although apps that use its machine-learning algorithms are routinely released by Microsoft Garage, neither Koul nor Mitchell could say when Seeing AI would be available for everyone to download. They only say it is a „research project under development.“ But this isn’t just some silly web toy. When released, Seeing AI will be an app that can fundamentally change a person’s life, while continuing the grand tradition of accessibility pushing design forward in exciting directions. Dieser Eintrag wurde veröffentlicht in Innovation und getaggt mit Microsoft, Seeing AI am 15. April 2016 von innovation. With Wednesday’s layoffs, Microsoft, saddled with the losing mobile hand that is Windows Phone, has essentially folded. The bulk of the 7,800 people let go are from the company’s phone division, a tacit admission that its big plans for Windows Phone haven’t exactly worked out. The company’s not leaving the casino, though: Windows Phone, the platform, isn’t going anywhere, even as Microsoft greatly scales back its hardware ambitions. The company has labored for years to create both a full-featured mobile operating system as well as an ecosystem of devices — PC, phone, tablet and more — that all use the same code base. It would be silly to just abandon its mobile platform, especially as people spend more and more of their time on smartphones. In fact, if you’re not one of the 7,800 people losing their jobs, there’s actually a lot to like in Satya Nadella’s explanation: Microsoft will continue to build Windows Lumia handsets, but only three types: flagships, business-focused enterprise phones and low-end budget devices. They’re retreating from being a mainstream player,“ says Martin Reynolds, vice president at Gartner Research. „They’ll continue to bring products to market, but not particularly aggressively.“The move represents a clear refocusing, putting Microsoft’s phones in the arenas where they might actually score a few punches before Android and the iPhone walk away with all the market share. It also rightly ditches the current strategy of offering several different Lumias, each with region-specific models, which led to a muddled brand and a confusing market strategy message to consumers. Even without the model shake-up, trimming the fat on the handset business Microsoft acquired from Nokia was probably inevitable. With a few exceptions (hello, curved screens), smartphone design and technology have more or less plateaued — it’s no coincidence that both iOS and Android have essentially taken a „bye“ in 2015, with few feature updates. Big hardware teams aren’t really needed to build good smartphones in 2015, as illustrated by upstart Chinese companies like Xiaomi and OnePlus. Still, there are new Lumias — and certainly a new flagship — coming soon. A couple of months after Windows 10 debuts, Windows 10 for phones will arrive, and, as Nadella suggested in his letter to employees, those phones will emphasize the big differentiators in the Windows ecosystem. Commentators like Daniel Rubino at Windows Central almost have you believing that a leaner-and-meaner Microsoft mobile division will be poised to succeed, albeit with lowered expectations, once Windows 10 is fully formed. Let me get this straight, Microsoft *finally* focusing on enterprise for Windows Phone is a bad thing? Should have happened 4 years ago. That point of view overlooks the crux of the matter: Windows Phone’s fate was never in the hands of Microsoft. What the company does in mobile at this point is virtually irrelevant. It designed a beautiful (and influential!) user interface, offered sweeter deals to developers than competitors, and helped engineer some of the most sophisticated cameras ever seen on mobile. None of it mattered. Developers and consumers didn’t respond, locked in a deadly catch-22: If the apps weren’t there, consumers wouldn’t buy the phones; if there weren’t enough people on the platform, developers wouldn’t bother creating apps. The „app gap“ ultimately dug Windows Phone’s grave, and even though it’s only got one foot in it, today’s news will be widely perceived as an admission that the other will soon follow. If there were other Windows Phone manufacturers, it might be a different story, but Microsoft makes 97% of the Windows Phones being sold, according to Ad Duplex. If they’re scaling back, who’s going to step up? If there’s a way Microsoft can resuscitate Windows Phone, it’s with Windows 10. Its ecosystem strategy doesn’t depend on it, but with the new OS, Windows Phones will be more connected to the platform than before, sharing all the same code and development tools. That means Windows developers will be able to create Windows Phone versions of their apps with minimal effort, and some of Windows Phone’s key differentiators, like Cortana, will get a chance to shine on PCs, which could ultimately have a positive impact on the platform. Finally, there’s Continuum — the feature that allows Windows apps to adapt from PC to tablet to phone seamlessly and lets a Windows Phone theoretically act as your PC when it’s plugged into an external screen. And although there will always be performance concerns when trying to do PC with a mobile processor, it’s a pretty cool trick. Continuum, though, has only the slimmest chance of being the ace in the hole that wins the day — any day — for Windows Phone. Even for enterprise customers, it’s hard to picture any of Windows 10’s differentiators winning over users, especially now that we’re firmly in a BYOD and single-device world. Even if Continuum ends up being an X factor, who’s left to give Windows Phones a chance? Even if Continuum ends up being an X factor, who’s left to give Windows Phones a chance? Microsoft is certainly hoping today’s belt-tightening and the Windows 10 launch will lead to some kind of success in mobile, albeit on redefined terms. But it’s not acting in a vacuum. Today’s retreat — or rather the perception of it — may have sealed Windows Phone’s fate. Who would believe the recommendation of a Windows handset after today?Without those new users, developers will have even less incentive to create apps. 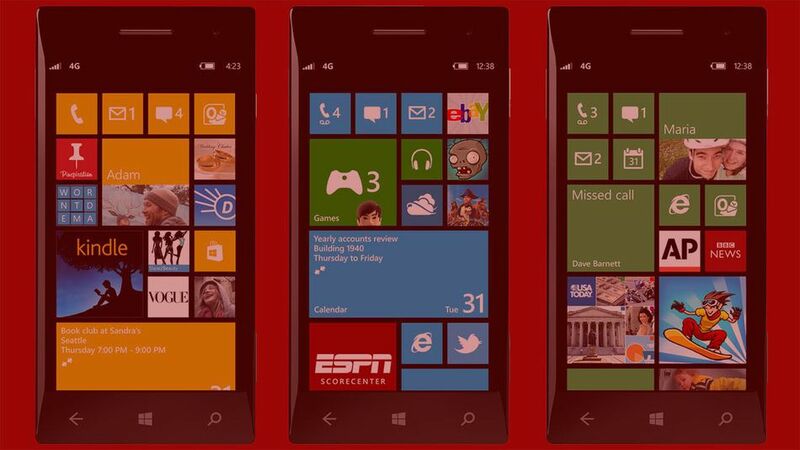 And without those experiences, Windows Phone will be even more of shell than it is now. What then? It’s admirable that Microsoft is taking painful steps to preserve what it’s built, but it’s hard not to see its Windows Phone restructuring as delaying the inevitable. Yes, by reducing its ambitions, it’s no longer losing on big bets. But in mobile, there really isn’t a low-stakes table. Dieser Eintrag wurde veröffentlicht in Mobility und getaggt mit Lumia, Microsoft, Windows Phone am 9. Juli 2015 von innovation.